I have a friend named Pam who has the most amazing sense of style. She and her husband live in a condo in the city where we live. Over the years I have watched them turn the home into a home that should be in a magazine. Here are a few of my favorite things at her home. I am not showing my favorite thing because I am going to do a quick how to on her most ingenious project. 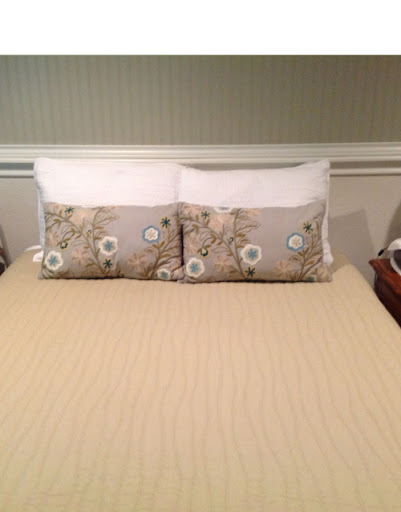 I had completely forgotten that their master bedroom was gray. I did not give her warning that I was going to take pictures of her rooms but they are always spotless. 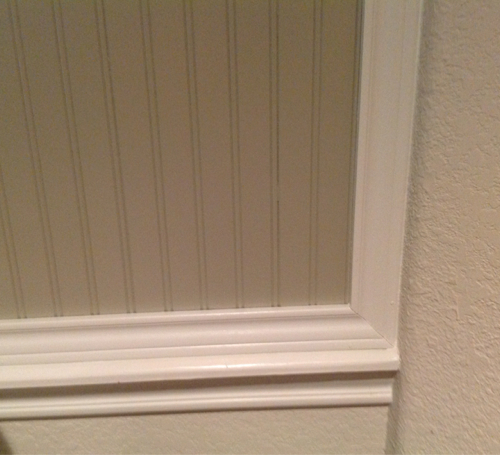 I love the beadboard behind the bed and that it is painted a contrasting color. I love this display above her couch. 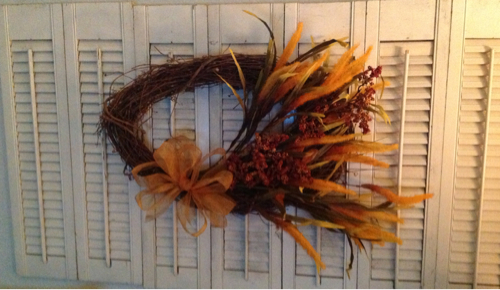 Old shutters hung on the wall with a cool oval wreath. Pam made the wreath. She found the oval shaped grapevine wreath at Hobby Lobby then decorated it. She said it took five minutes. I wish I had that talent. 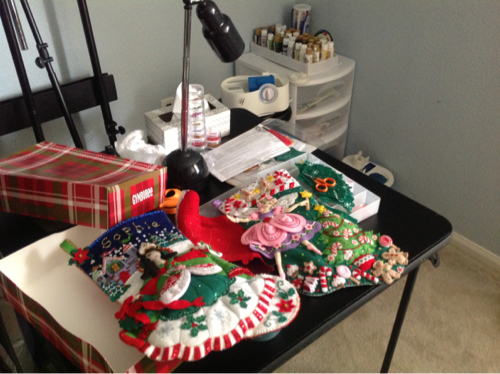 I snapped this picture of her craft room before she knew what I was up to. I love that she has such a creative side, and that One small spot in her house is a TINY bit mussed. It makes me feel a little better about myself. Look at the stockings she made for her sweet granddaughters Sophie and Audrie. What talent.